The thing about being a xenophile is that you tend to become a curiosity seeker when it comes to food. A few years ago when I worked in the suburbs, there was a stretch through Addison, Glen Ellyn, Bloomingdale, and Carol Stream where you could find a plethora of fast food eateries (i.e., McDonald’s, Burger King, Five Guys, KFC, etc.) and stock big box restaurants (i.e., Red Lobster, Olive Garden, TGIFridays, and the like). All of the Indian restaurants on and off the main stretch of Army Trail Road have since closed and any other ethnic restaurants, outside of the Chop Suey style Chinese restaurant, were usually found by happenstance. There was, however, one restaurant that had a very slow opening — WOW Egyptian Fast Food at 105 Stark Drive in Carol Stream. Tucked off the western end of Gary Road once you turn from Army Trail Road to go south, you may miss it. 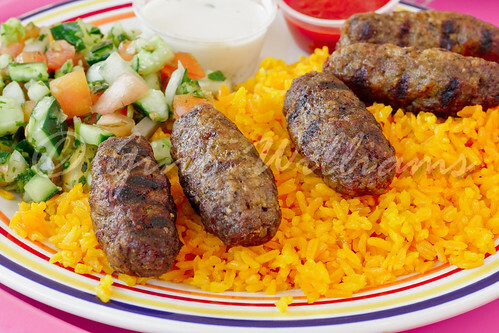 What you will definitely miss is some very good Egyptian food, albeit fast food. On entry, the jovial Egyptian behind the counter was, in a word, cool. Go to any American fast food restaurant and you get an obligatory, “Hello, welcome to [fill in the blank]. How may I help you?” It’s almost like asking someone if they want to walk across a pit of burning coals. What I got was, “Is this your first time?” to which I responded, “No.” With bright eyes, he gave me a hearty welcome. After I thanked him in Arabic, that was it. It was as though I was a long, lost friend who had returned from abroad. Perhaps he thought there was a bit of Sudanese in me and with Arabic being the mother tongue in Sudan, it was fair game to assume that I spoke the language fluently. My cultural makeup was even more interest for conversation. So the customer service went full tilt past 10 on a rating board and stayed up there even after I had mentioned that my Arabic was slightly conversational only. It was not necessarily a hot day, but it was moderately humid. That meant that a refreshing drink was in order. So, I ordered an iced karkade. I had to try this traditional tea so that I could see if it reminded me of the hibiscus tea I had thanks to a cab drive in Alexandria, Egypt, many years ago. 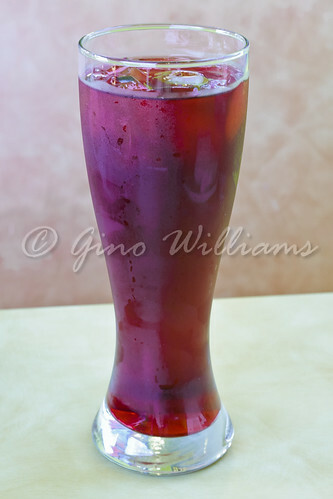 Hibiscus tea in the bag that you get from your local market and even the loose leaf version that you buy in some tea shops don’t compare to what you get in Egypt. And having drank the iced karkade sans sugar, these Egyptians were true to tradition. For the meal, I had a plate of kufta chicken with Jerusalem salad and turmeric rice. Think of chicken sausage, although there is no sausage involved, only that the chicken is prepared in such a manner that it looks like a sausage concoction. With yogurt and hot sauce, and I don’t mean the kind of hot sauce that you buy at your local market, the flavours explode. The rice is not a bland accompaniment to the dish thanks to the turmeric accent. And the Jerusalem salad contained two of my favourite ingredients — tomatoes and cilantro. With complimentary pita bread, I ate everything to a satisfying ending. When the cashier had said to me that I would tell all of my friends that this was the best Egyptian food in the whole of Illinois, I thought that was a bit presumptuous of him. He apparently had sipped some truth serum before coming to work and it had not worn off. 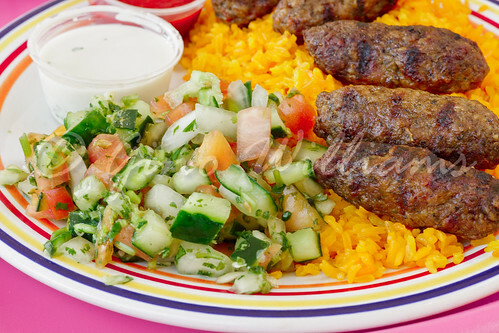 Sure, WOW Egyptian Fast Food is the only Egyptian restaurant in the Chicago metropolitan area, but the food is worth the trek out to the suburbs. Well, it is for me, as getting to good food is not an inconvenience at all. 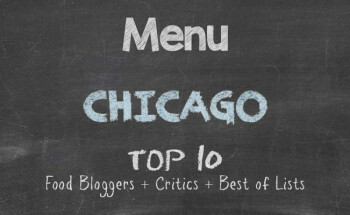 Middle Eastern, Mediterranean, and North African cuisine have forced Italian and Mexican food into second and third place here in the Chicago area. 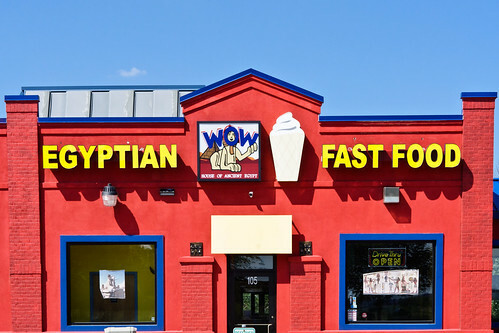 The good thing about WOW Egyptian Fast Food is that unlike the long list of Middle Eastern and Mediterranean fast food restaurants that have been indoctrinated with the Chipotle assembly line method of food preparation, you don’t get that at WOW. You get hot food from the kitchen, unless you order salad, hummus, and babaganoush. And what of price you may ask? Ah, I got what I paid for and it may be fair to say that the quality bested the cost. Nevertheless, I will walk like an Egyptian, drive like an Egyptian, and eat like an Egyptian whenever the desire to return to WOW Egyptian Fast Food comes again.